The prestigious Aquinas College, situated in Salter Point is one of the oldest boy’s colleges in Western Australia, formed in 1938 and placed within the Perth Football District. The school has produced many high-quality footballers across the years, such as Nat Fyfe, Paul Duffield, Peter Bell (Fremantle FC), Daniel Kerr, Quinten Lynch, Elliot Yeo (WCE) and Brownlow Medallist and Triple Brisbane Premiership Superstar Simon Black, just to name a few. A strong supporter of football, and always at the forefront of innovation, the college engaged the Perth District back in 2016 to construct and deliver a SEPEP coaching and umpiring program for Year 7 students. SEPEP is a student-centred approach to Physical Education which takes the best parts of community sport to enhance student learning. The philosophy behind SEPEP is for students to experience a program which mirrors “real life” sport. 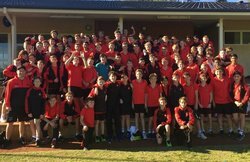 Under the SEPEP model and guidance of Mr Lucas Fielding and the PE Department, the Year 7 group set out to create a "Mini AFL" competition to run in Term 2. The competition focused on roles and responsibilities across the entire football landscape, including Drafting, Captaincy & Coaching roles, Umpiring responsibilities, Ground management, Competition management including rules & guidelines and finally media and match reporting. Leading into the competition phase of the program, WAFC Football Development Officer Chris Brown, worked exclusively with the Captain/Coach and Umpiring students over a 6-week period, delivering theory and practical sessions relating to Coaching and Umpiring techniques and philosophies. In the coaching space, students learned key skills around how to plan a training session, delivery of a training session, communicating with players and team management on game day. Students utilized resources from the official WAFC Level 1 Youth Coaching Course. For the umpiring component the students learned the basic laws of the game utilizing the AFL Online Level 1 Umpiring course. The boys mastered the key signals and explanations of rules for all phases of umpiring (field, goal and boundary) and how to successfully control a game of football. The boys took great enjoyment out of learning the unique skills such as bouncing the ball and boundary throw ins. 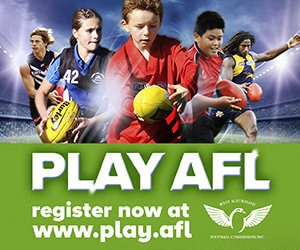 Football Development Officer Chris Brown said "When kids think of footy, they default to just the playing aspect and don’t always realise how much goes into running and organising a game or competition. The SEPEP model gives a great understanding to the other phases of footy, while helping to deliver life skills on and off the field. The Aquinas kids were enthusiastic and excited to be involved. I was really impressed with how quickly and confidently they progressed. By the end of the program, everyone was able to conduct a training session to there peers and adjudicate a full game of footy competently. The great thing about the program is that the boys can take these new skills and potentially join our local umpiring ranks or assist at their local junior club in a coaching role. Mr Brendan Chapman and Mr Lucas Fielding and there PE team have been exceptional in getting this program up and running and supporting the Perth District"
The SEPEP Program culminated in late Term 2 on the picturesque Memorial Oval, overlooking the Swan River on a perfect sunny winters morning. The overwhelming favourite "Virats Boys" claiming the Premiership in a close contest, with all involved already counting down the days until the 2018 season begins. You can find further information on SEPEP here: https://www.achper.org.au/blog/blog-sepep-revisited?